Late Sir Anwar Ai Mugheri worked as Assistant professor at Mehran University of Engineering & Technology Sindh. B.E Civil Engineering(1st Batch) from Quaid-e-Awam Engineering University Nawab Shah Sindh. He is believed to be First Engineer of Mugheri Tribe and Due to his untiring efforts lot of Mugheri got Qualifications as well as job in several fields. Sir Anwar Ali Mugheri is always remembered as great Legend in our hearts. 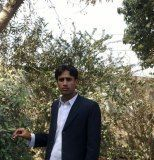 Lived in Sindh University employees society Jamshoro from District Kambar Shahdadkot. Sir Radho Khan Mugheri S/O Haji Pakhar Khan of Village Rais Radho Khan Mugheri P.O Abri Taluka Kamber District Kamber-Shahdadkot. He has also contributed a lot in field of education to Mugheri tribe by his untiring efforts and hardworking thus his name is appreciable due his struggle.Large number of students passed PTC & CT Degrees respectively under his supervision as a Principal. He remained Principal of Government Elementary College of Education (M) Larkana from 02-12-2005 to 11-11-2009. Sir Radho Khan has got lot of Qualifications and experiences,His Qualifications are: Matric (1968) from BISE Hyderabad, Intermediate (1970) from BISE Hyderabad, B.A (1972) from University of Sindh, M.A (1975) from University of Sindh. B.Ed (1977) from University of Sindh, M.Ed (1983) from University of Sindh. He has got series of promotions due his continuous hardwork: Promoted as High School Teacher on 06-08-1982, Promoted as Lecturer on 08-08-1988. Promoted as Assistant Professor on 31-05-2001,And became Principal.After serving a lot in field of education.He retired from his services on: 11-11-2009. MSc Physics from Shah Latif University Khairpur Sindh.